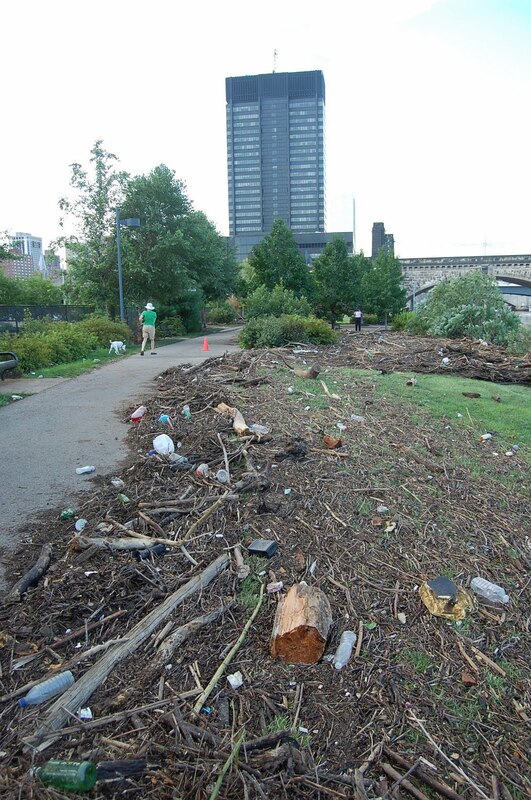 Although the flooding of the Schuylkill River in Center City Philadelphia didn't do as much structural damage as expected, it certainly dumped a lot of debris and trash on the Schuylkill River Park Trail when it receded, especially between the SEPTA bridge and the Race Street crossing. On Saturday, September 3rd, volunteers are needed to help clean up and restore the park to its former glory. Schuylkill River Development Corp, Schuylkill River Park Alliance, Friends of Schuylkill Banks invite you to join them at the Community Cleanup at 10am at the Race Street crossing. Here's your opportunity to give back to the park we all know and love. Bring gloves and rakes if you have them.